Welcome to Our True Focus Eye Care in Port Richey, FL! 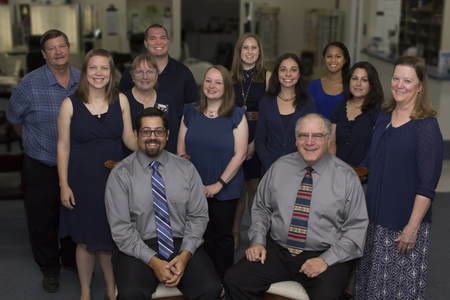 When patients walk into True Focus Eye Care for the first time, our optometrists and the rest of our team of eye care professionals want them to feel like they are a part of the family. One of the things we feel distinguishes us from the rest is our dedication to each and every one of our patients. We make sure we keep our schedules open and flexible enough so that we can give each patient all the time they need to have their questions answered, and also give them the opportunity to feel comfortable with the process and or procedure they are going to at the time of their visit. Here are a few other things that make our practice unique and special. Here in our practice, we treat all of our patients like they are the most important people in the world because they are. We don't want people to for their eye doctor appointments, this is why our eye care team does everything in our power to make all of our patients feel right at home. Our optometry professionals provide comprehensive eye exams and other eye care services to people who have physical and intellectual disabilities. Our team also services infants between the ages of 6 to 12 months. Our eye doctors and our entire team of eye care professionals enjoy teaching our patients about how to keep their eyes healthy. During our conversations with our patients, we discuss why it is so important to have a comprehensive eye exam at least once a year. We also talk about the importance of yearly glaucoma screenings Plaquenil screenings and diabetic eye evaluations. 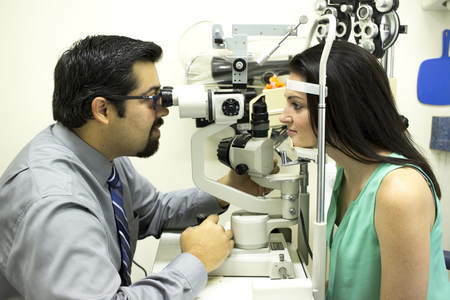 Our optometrist team can also conduct a LASIK consultation. We believe in the principle of people who know better tend to do better, and there is nothing more exciting to our team to discover our patients are beginning to do their own research on eye health and are starting to incorporate many of the things we’ve discussed into their daily routines. Contact Our True Focus Eye Care in Port Richey, FL Today! Here at True Focus Eye Care, we are a full-service eye care center. 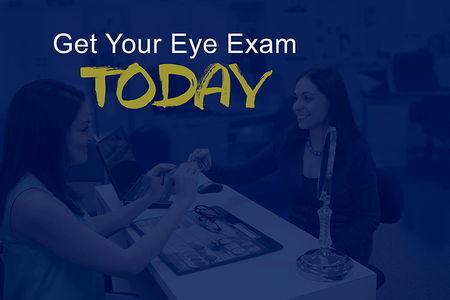 We not only offer comprehensive eye exams, but we also specialize in the treatment and maintenance of certain eye diseases, like macular degeneration, dry eye, and glaucoma. We also conduct contact lens fittings here in our office in addition to affording our patients a vast array of traditional glasses and eyewear, shades and sportswear. Our commitment to service and healthy eyes goes far beyond our practice, as we make charitable donations to our area Rotary club, area schools and a host of charitable programs. To learn more about our community efforts or how we can help you, give us a call at 727-819-0440 today. Dr. Mark W. Mathews III, Optometric Physician, attended North Georgia College and the University of Georgia in the years 1968-1971. He received his Doctor of Optometry degree from Southern College of Optometry in Memphis, Tennessee in 1975. 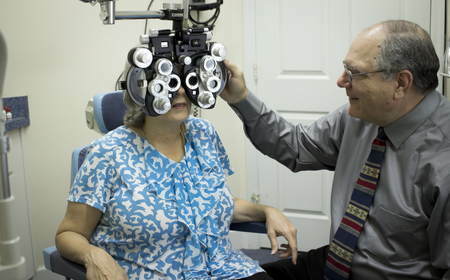 He is a Board Certified Optometric Physician who has been in private practice in Port Richey since 1981. Dr. Vijay Shenai, Board Certified Optometric Physician, is a local Pasco county resident from age 5. He attended Pasco Hernando Community College (now State College) and earned his Associates in Arts and later moved to Fort Lauderdale to attend Nova Southeastern University to received his Bachelors in Science. Lotti is one of our front desk personnel and has worked in our office for many years. She can do everything in the reception area, including scheduling your eye exam or contact lens evaluations. She can answer almost any of your questions about insurance coverage. If she does not know the answer, she knows who to call or where to look! Jamie is our Contact Lens Guru! She makes sure that our contact lenses are on hand for in-office purchasing and for trials for new fits and adjustments. This creates a better flow for the doctors and more convenience for you. She is also proficient in work ups, contact lens training and scheduling. If you recently received contacts from us, you probably have heard from Jamie to make sure that you and your eyes are happy. Evelyn has been working in the optical world for many years. She is fluent in Spanish and is an experienced Ophthalmic Technician who takes great care in finding the best frame and lens combination that will make you look great. She is also proficient in work ups and contact lens training. Kathy has also been working in the optical field for many years and is currently attending Opticianry school. She helps with fitting glasses, taking measurements, and advising the patient with their eyeglass selection. She also works with patients who need training for contact lens wear. Kathy loves spending time with her family! Tom is our 'Lab man.' If you are lucky enough to catch him when he is not fitting lenses in to your frames, he can also help you find the right frame for you as well as minor frame adjustments and major frame adjustments such as soldering those broken glasses that you keep sitting on accidentally! Rob is our Jack of all trades in the office. From helping patients select frames, getting patients through their prelims, scanning, answering phones, and adjusting frames to heavy lifting and handy-man work, he is one of a kind. Rob started working with us full time in May of 2016. He loves spending time with his family as well as fishing, golfing, and being involved with the youth ministry at his church. Kim became a member of our team in 2017. You will see Kim during pre-testing while she gets you ready for Dr. Mathews and Dr. Shenai. She also works behind the scenes preparing glasses for pickup and data entry. Some of Kim's favorite things to do is going to the beach, church, running, watching the TB Lightening win, and of course spending time with her family is number one. Suenia also joined the True Focus team in 2017. Suenia is from Brazil, speaks Portuguese and adds so much life into our practice due to her positive, lively energy. She usually works at the front desk taking calls, scheduling appointments, and greeting our patients with a smile. She loves spending time with her family, church, going to the beach and living a healthy lifestyle! Since our beloved Bunny retired, she has passed the baton to Laura, and Laura took it and ran full speed ahead. With her kind and gentle personality, our patients have fallen in love with her. You will see her smiling face as you walk into the office, as she greets and helps you. Laura is also a mom of 2 children and loves to spend time with her family as well as church! Becky is the newest member of our team. You will also see her at the front desk greeting patients and answering phones. Becky's main job is data entry and making sure no exam fee, prescription, report or request falls through the cracks. She grew up in Tennessee and adds that Tennessee charm to our office. Becky also loves spending time with her family as well as golfing! Dr Mathews is so through, knowledgeable and kind. i wouldn't let anyone else care for my eyes! Lottie is efficient and great too! She keeps me on schedule and takes care of all my insurance. Met Dr. Shenai a few weeks ago and got my new glasses, he was kind and informative as to what was going on and sent a letter with a hand written more thanking me for choosing him...that to me is great customer service taking the time to go just above and beyond.